When determining noise emissions for products, sound power is the preferred quantity to measure because it describes the absolute power of the noise source independently from the acoustic environment. Free-field – placing the source in an acoustically open area (free-field) and determining its sound power from sound pressure measurements. 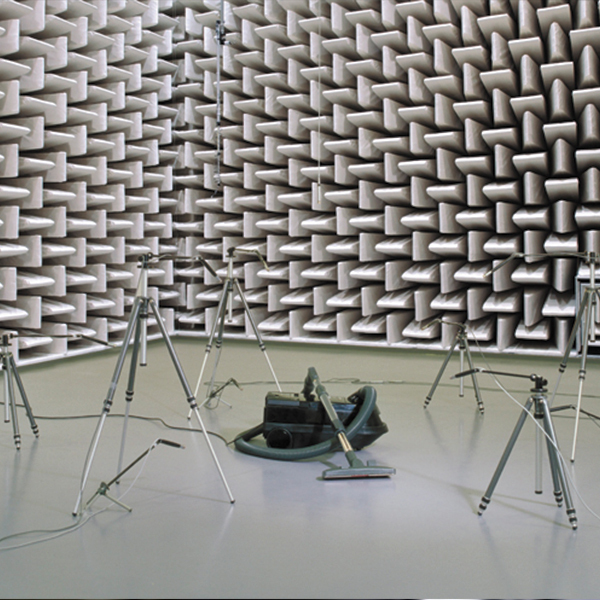 Reverberation room – placing the source in a reverberation room (diffuse sound-field) and determining its sound power from sound pressure measurements. Sound intensity – measuring sound intensity from the source directly in any sound field to determine the sound power.